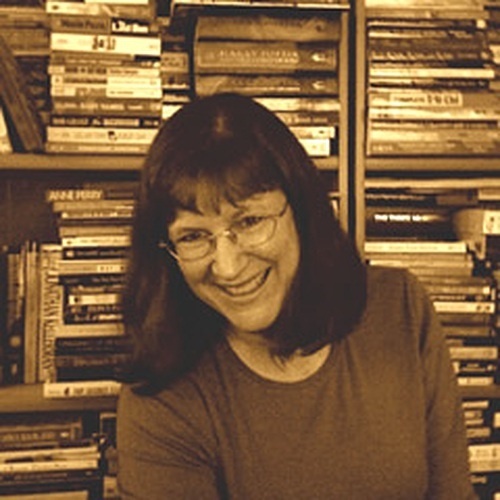 I'm Holly Lisle, full-time writer since 1992. I started out writing fiction exclusively, but now -- along with my fiction -- build writing classes for both beginners and serious writers. I have always had... well... a genius for crashing books into walls in ways not even I could imagine, resulting in the utter destruction of my planned stories. But because I discovered my destructive genius while writing on contract and to deadlines (which I hit), with writing money as my sole source of income AND with a family to feed, I developed Mad Skilz in dragging home the pieces of wrecked books, and then hammering them into new and better shapes. I am a writing NERD. I love putting words on a page, love figuring out how to do it better. I adore deeply and fully this obsession I adopted as the only New Year's resolution I ever kept -- to write a novel before my 25th birthday. I turned 25 in late 1995. Mine was not a lightning path to fame and fortune, and the battle to get from gawdawful to well-published has left some interesting war stories in its way. Wanna hear some battle tales from the Writing Wars... so that someday you might survive them? I brought some cool scars for Show and Tell. I created this class both to give new writers a quick, focused introduction in creating very short stories that are still real, complete stories, and to give more experienced writers a way to put together good short fiction collections to sell, or good stories to enter into contests and submit to publishers to get some money coming in. This podcast's stand-alone page. Episodes, the place where you ask questions for us to discuss in future episodes, plus links to cool things for listeners (free life-sized walk-through space station and spaceships, anyone? *) email updates for special events, topics, and other things. My personal site. Lots of 'how to write' articles, me working through the blog beating my head against my latest fiction, plus occasional digressions into my many other interests in life. * Built by me in Minecraft to map out locations I reuse in my Cadence Drake and Longview series. I SAID I was a nerd. What? You didn't believe me?